Legal cannabis dispensaries are revolutionizing the customer service industry with record numbers of applicants swarming to Colorado and the west coast to find careers in cannabis. Hundreds upon hundreds of applicants are pursuing budtender jobs at a rate dispensaries can barely keep up with. Out of the huge pool of applicants, only a select few individuals are given the opportunity to begin their cannabis careers. For this reason, job candidates interested in being budtenders should be well versed in all the traits that make a successful worker, and the mistakes that can keep them from sustaining a long career in the cannabis industry. A question I often get from friends of mine on the east coast, is whether or not dispensary budtenders can get stoned during their shift. Technically, legislation in every state where recreational cannabis is legal prohibits any on-site cannabis consumption. However, there is nothing that says you can’t smoke a gram joint one block down the street and roll up to work feeling toasted. While no one is surprised to hear that many budtenders are frequent cannabis users, dispensary positions require alert, engaging individuals. Even for regular smokers, there is a big difference between smoking a bit earlier in the day before work versus eating a bunch of edibles that will hit you hard right when you’re helping an elderly lady purchase her first blue dream. Employers do not look kindly on individuals who break on-site consumption rules, as it puts them at risk of being personally fined, fired, incarcerated, or the business being shut down. Whether or not a budtender’s smoking habits affect their ability to service is almost second to the risk of receiving government crackdown. I refer to “iceberging” as the phenomenon when a budtender over saturates customers with overwhelming or unnecessary details. Especially for novice smokers, too much information can be isolating and intimidating. Sometimes it’s best just to cover the tip of the iceberg for new cannabis users, rather than diving in to explore the entire thing all at once. This is not to say that knowledgeable budtenders are a bad thing! 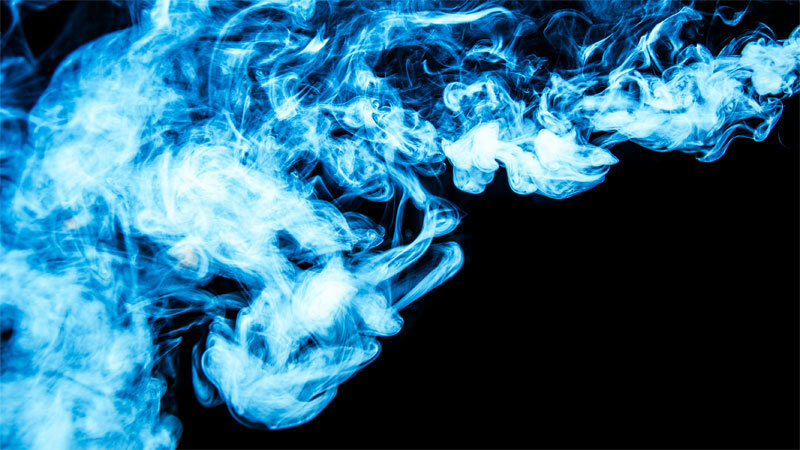 Certainly for more experienced smokers, the situation necessitates a more developed discussion of cannabinoids, terpenoids, extraction techniques and convoluted details of the cultivation process. Conversely, budtenders who are tight lipped in their explanation are just as unhelpful as over-sharers. Part of being a great customer server in this unique industry is being able to tailor a customer’s dispensary visit to their specific experience with cannabis. Like other service industry positions, punctuality can be a major issue that spurs excessive employee turnover within dispensaries. Time and time again, I see job postings for budtenders that list timeliness as one of the most important qualifications to work. Employers want to make sure their budtenders show up bright eyed and bushy tailed, ready to face the day and assist patients and customers for hours at a time. Failure to show up on time can be a budtender’s quickest death sentence. While there is a learning curve that employers expect when hiring new workers, punctuality is an issue that leaves very little room for slip-ups. Reliable budtenders are a major asset to the cannabis sales industry. Not only do they save hiring managers from the task of constantly training new employees, they also bring a level of credibility to themselves and the business they represent. The underground cannabis industry has a long history of disputes over product weight and price. Budtenders must be confident in selecting, weighing and packaging products and leading customers successfully through point of sale. Failure to properly weigh products, or assigning the wrong price can be an honest mistake, but it can also be enough to keep a customer from ever returning. It can also come back to haunt you on Yelp. For the most part, dispensary managers make sure to train budtenders thoroughly, so that the process becomes second nature to them. Most budtenders I’ve met do a wonderful job of being precise and making sure the customer is satisfied with their selection. It is of utmost importance that budtenders leave their attitude at the dispensary door at the start of their work day. This was said to me within the first two minutes of my first interview for a budtender job by the owner of one of Portland, Oregon’s most successful dispensaries. He mentioned how a large part of being a budtender is meeting people where they’re at during their day and holding back any personal feelings or opinions that are uncalled for or inappropriate to voice at work. Additionally, budtenders who appear apathetic or unenthusiastic with their post are a huge deterrent for customers, especially with how much money people spend on cannabis products. While being a budtender is a dream service job for many, the position is legitimately demanding and requires a uniquely skilled employee who excels at customer service, has a passion and knowledge of cannabis products and keeps up to date on ever-changing cannabusiness regulations. The vast majority of budtenders I’ve encountered give a great name to the cannabis industry as a whole, educating and helping customers with open arms.